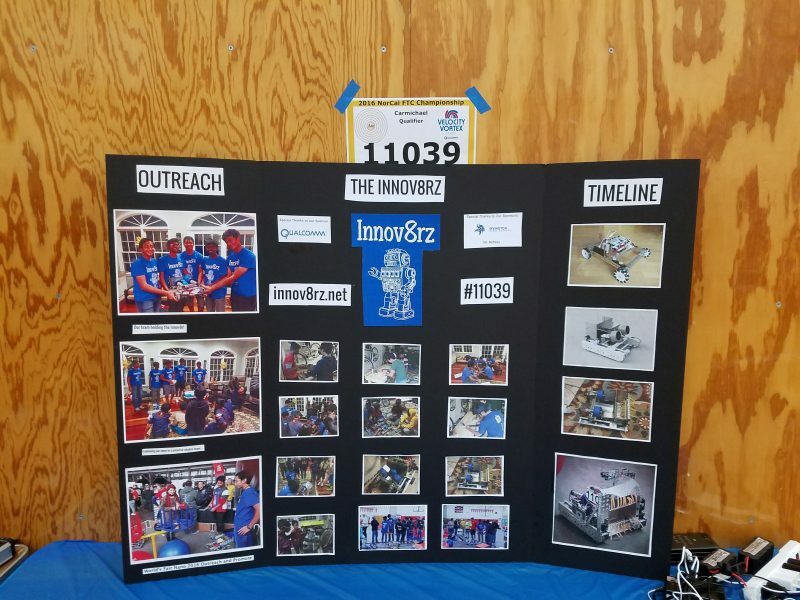 Our Innov8rz team #11039 got an invitation to compete in the NorCal Regionals Championship that was held on Sunday Feb 19th 2017 at Newark Memorial High School (NMH), Newark, CA. 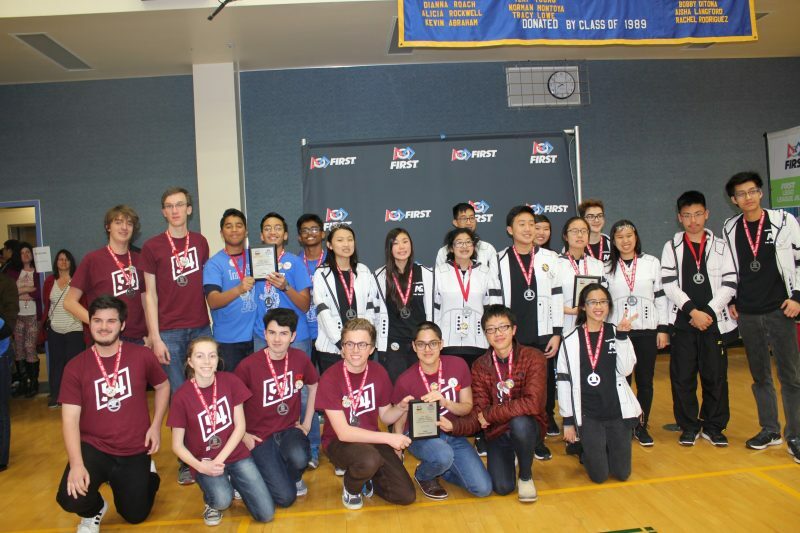 This is an invite only event that we got an invitation for based on our performance in the qualifier tournaments.There were 48 teams participating across Northern California. There were two divisions – Gold and Silver. We were in Gold team. The field was set up to run games in parallel across Gold and Silver Divisions. The finalist from each team will compete in the finals. 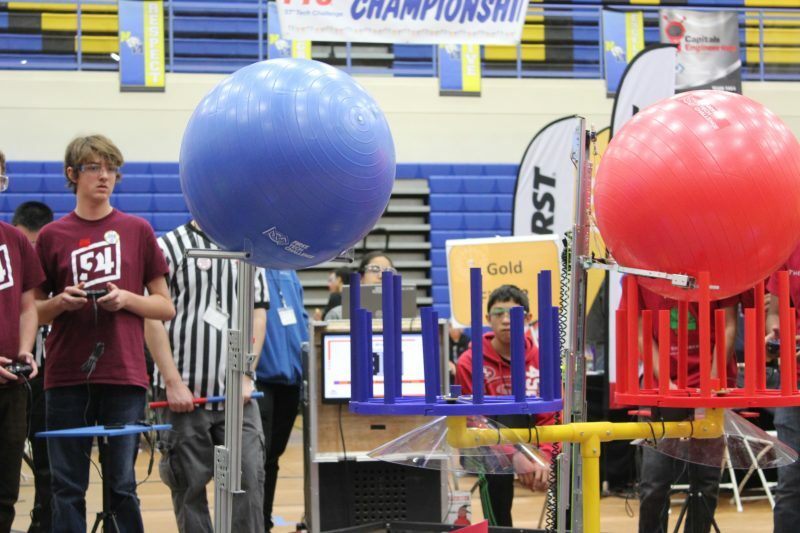 10 teams will move on to Super Regionals which is scheduled to be on March 11th @ Seattle, WA. 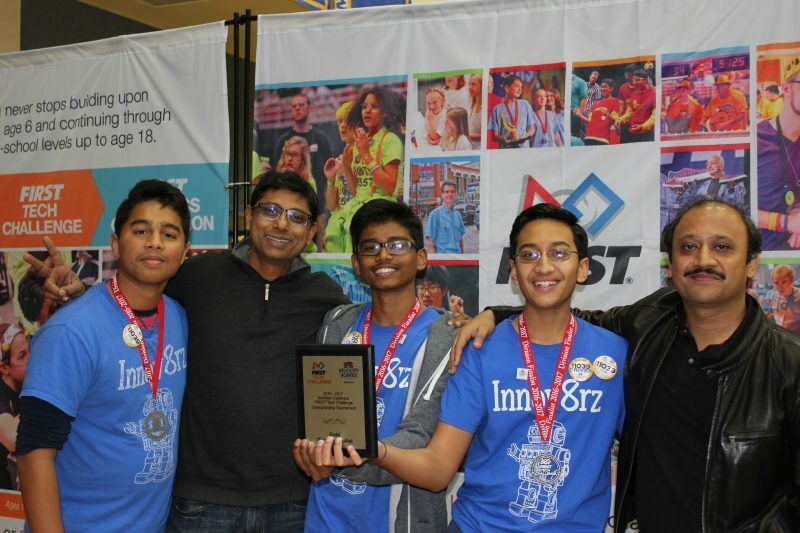 In the Pit Area – unfortunately one of our teammates – Rakesh did not plan properly for this event and couldn’t make it. We arrived at 7:30 AM in the parking lot. 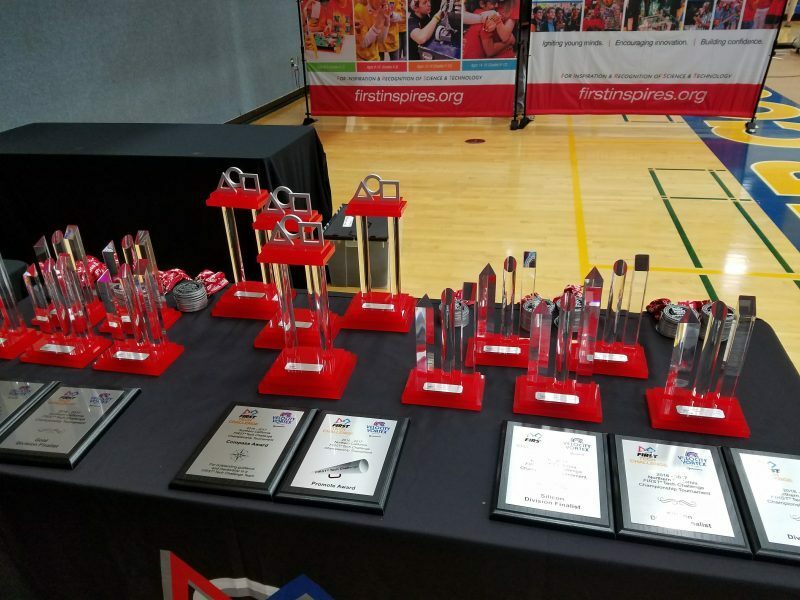 Registration started at 8 AM and we were given our pit #, team badges and inspection schedule. 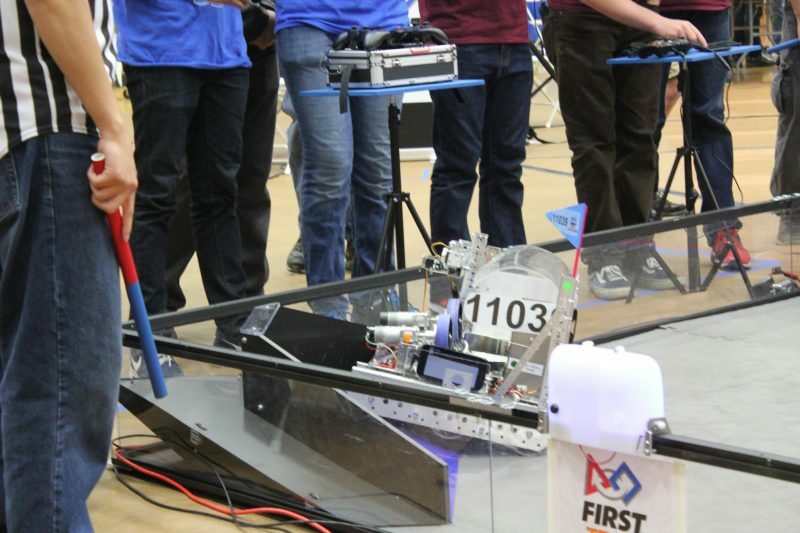 We unloaded our robot and other stuff from the car. 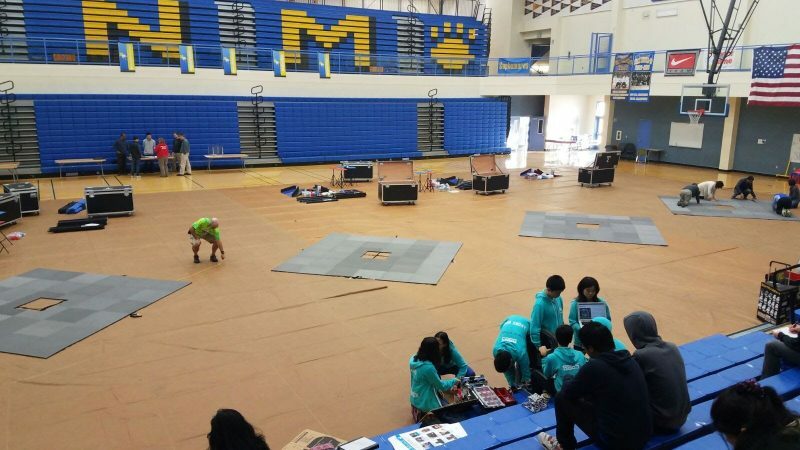 The team quickly started setting up the pit area. 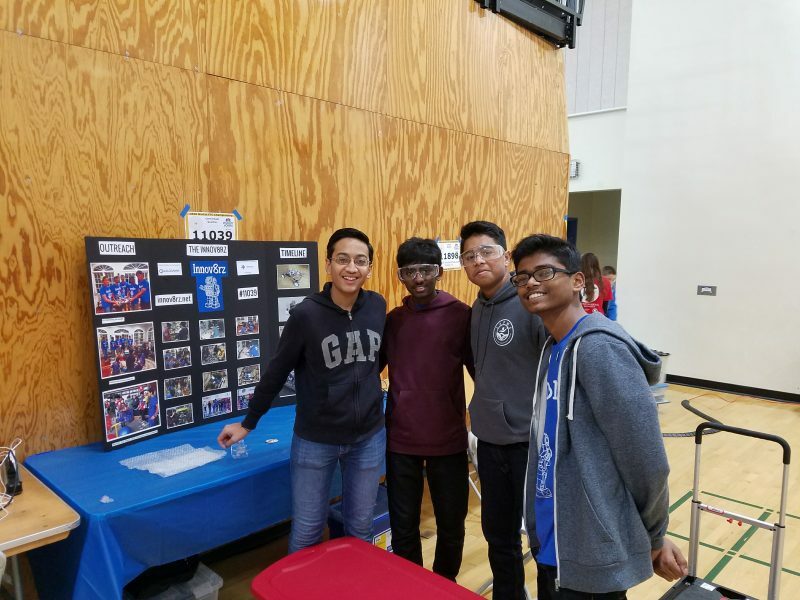 We had our team poster set up and headed off for robot inspection. 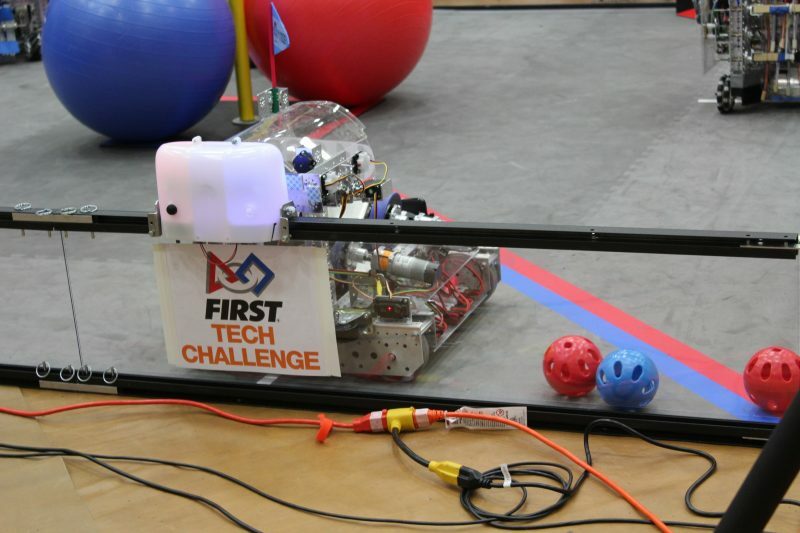 Robot inspector asked series of questions on our robot and what we used to build it to ensure that it complied to First’s guidelines for parts that are allowed. There was a field test as well to see that robot is functional. We got a green sticker after passing the inspections. Once all the 48 robots’ were inspected, we were handed our schedule for the day. We were competing in 5 games in Gold division. The Finalists from each division will play three games and then the winners from that will compete in the finals. 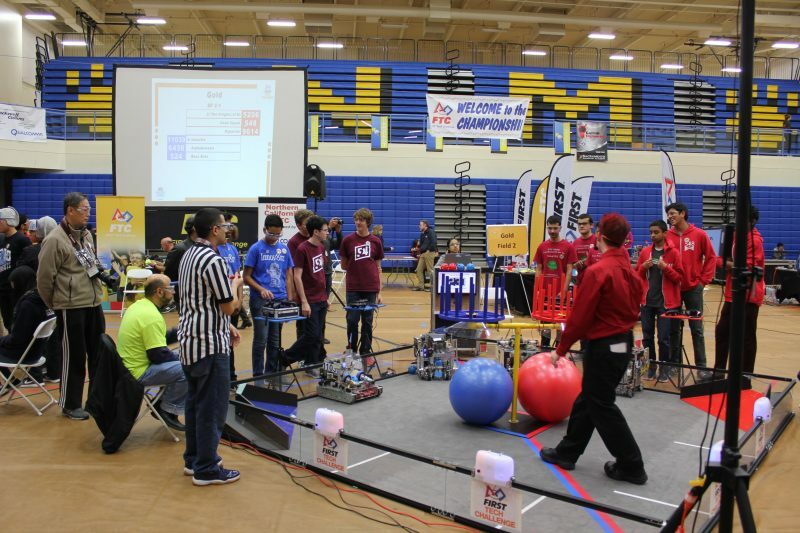 Our parents, friends and fans of Innov8rz were all there cheering us as we got ready for our first game. 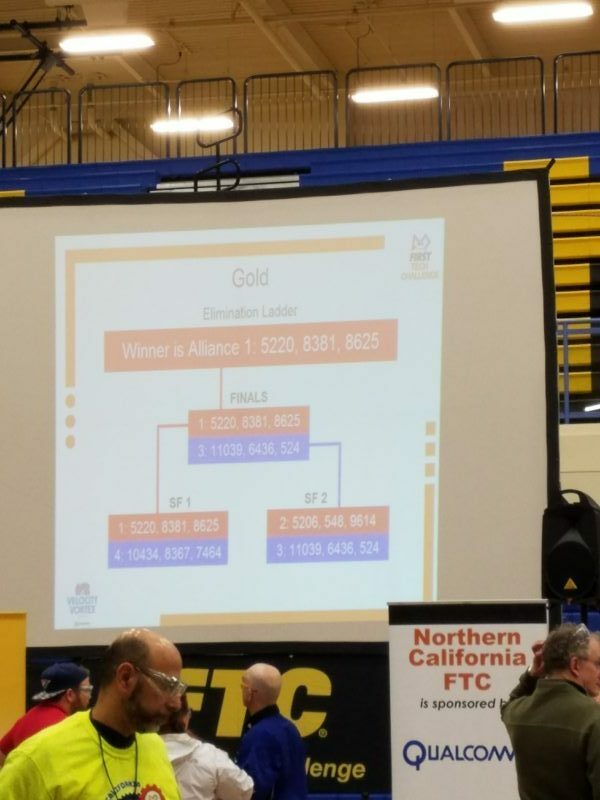 We had exciting 5 games and we were able to score high enough to be placed 4th and got an opportunity to select our alliance for the next matches. 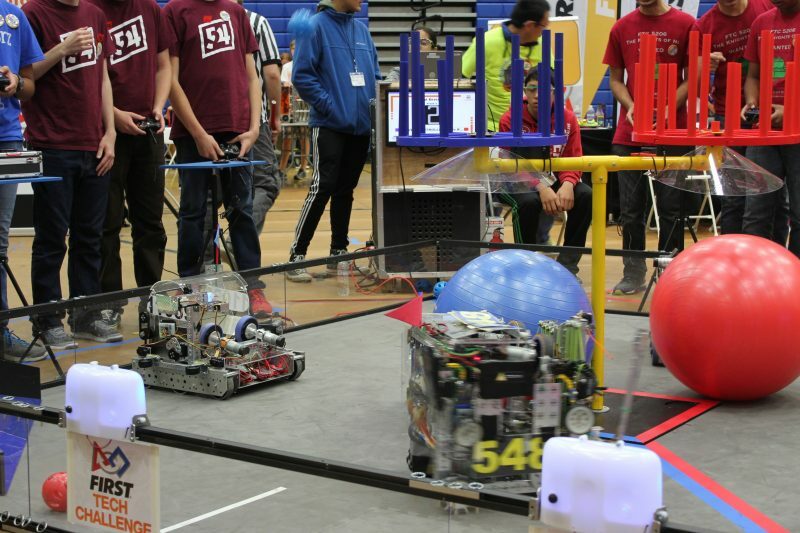 We went to be the finalists in the Gold Division but lost the final elimination round. 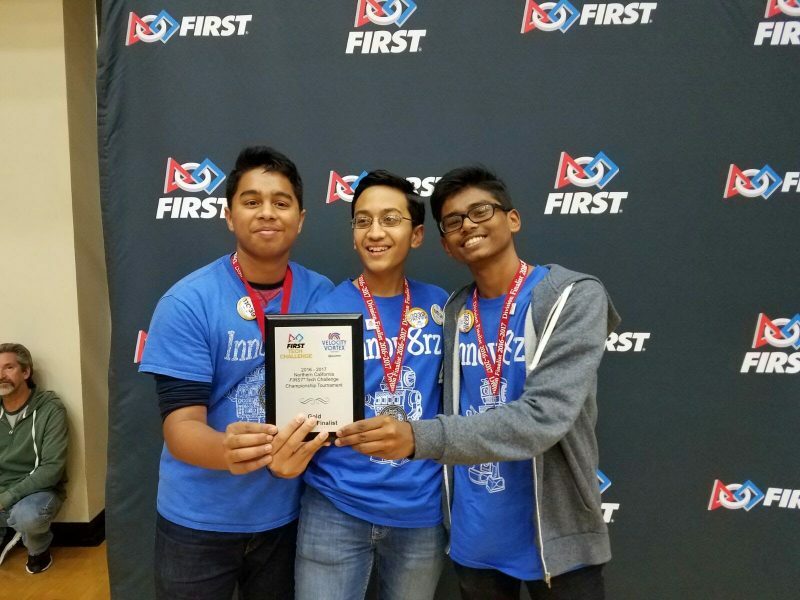 We were awarded for being the finalists in Gold division. Below are few pics of the tournament.